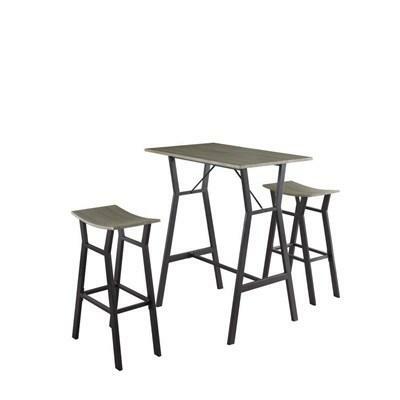 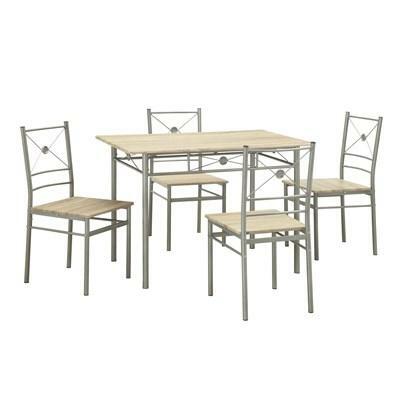 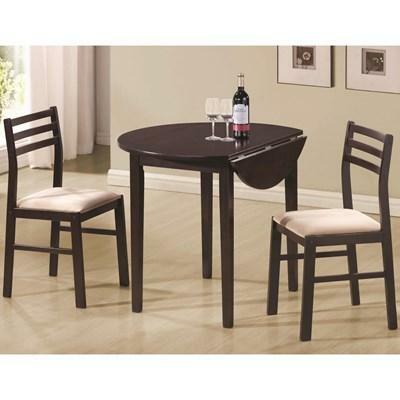 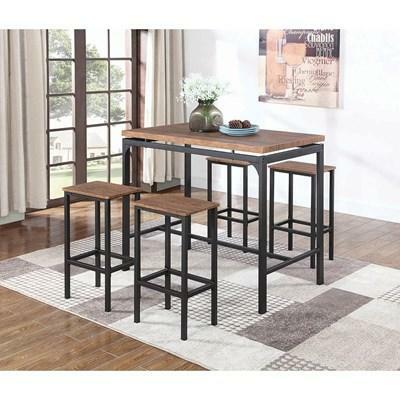 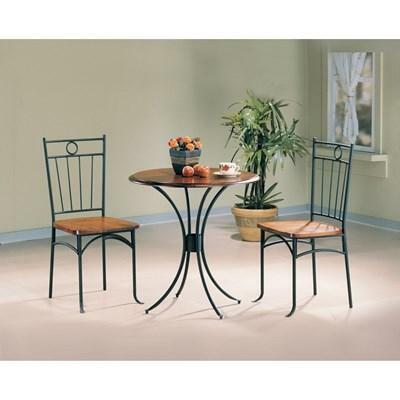 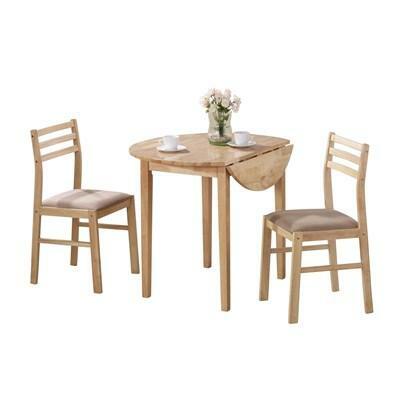 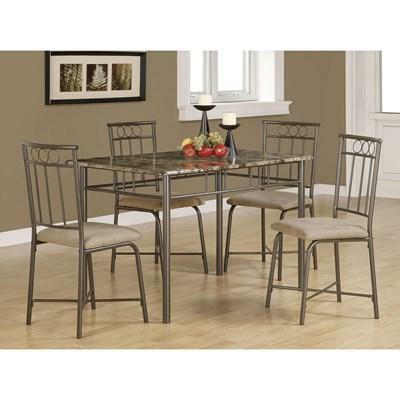 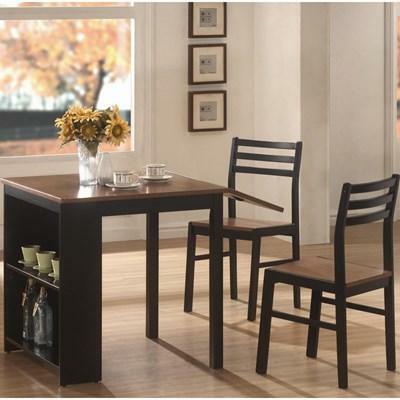 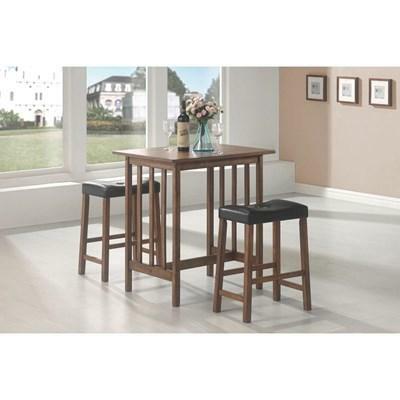 This lovely bar set will be a welcome addition to your casual dining area. 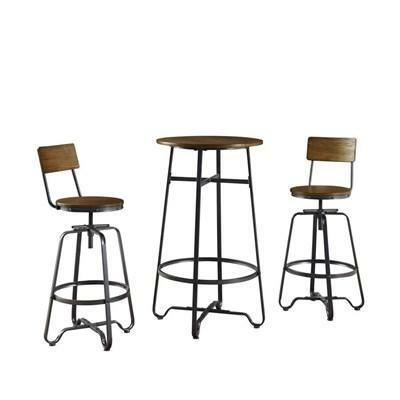 The set is finished nut brown, and includes a table and two bar stools. 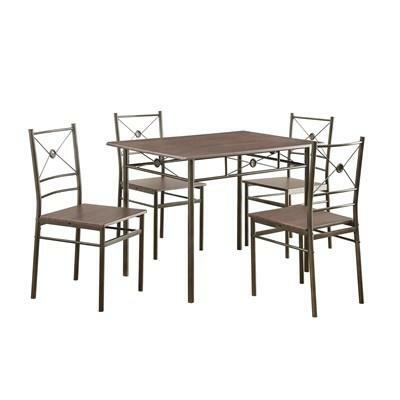 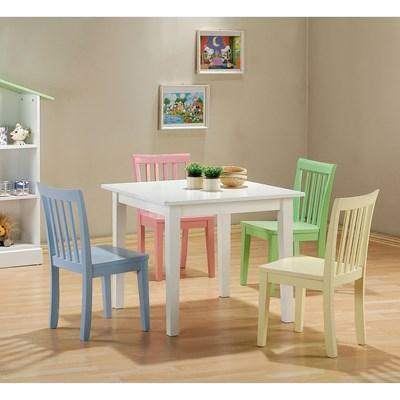 Perfect for your breakfast nook or entertainment space, this dining set features a round top with drop down an extension and padded fabric seats.